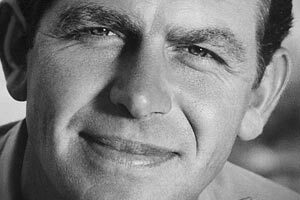 Andy Griffith died this week. The reports mention Mr. Griffith’s hometown TV show named after him. Or they mention his other famous character, Matlock. Why? Because he was “known for” being an actor. An entertainer. Did you know he was also a gospel singer, a writer, a producer, a father, a grandfather… and the list goes on and on. Ultimately, people remember someone (or something) for 1 major benefit. Andy made us feel good. What do you want to be known for? In order to answer that, you need to look at the PCG Three Simple Things: 1) A pinpointed audience that has an identifiable pain. 2) A unique product (or suite of products) that solves that pain, and 3) one resounding benefit for the audience to attract themselves to your product. From that, a Brand Positioning (tagline) needs to be created. Simple. Easy to Remember. Benefit-driven. What you’ll be known for. Brand Foundation. A consistent color palette, font palette and positioning statement that you can “own”. Ownership definition: when someone sees the combination of your colors, fonts and tagline; they know it’s you without seeing a name or logo. Content development team. How it’ll be developed in a timely fashion. Editors who make every story sound like it’s promoting your benefits. PinPoint is a small team who successfully builds brands. We work for companies under the ultimate standard of their brand. Our team can created large or small solutions once a budget is determined. At the end of the day, we want you to “Be Known For Something”. Just like Andy was.